ItemI-68257 - High grade fir, Vernon Lake; GR-0943. 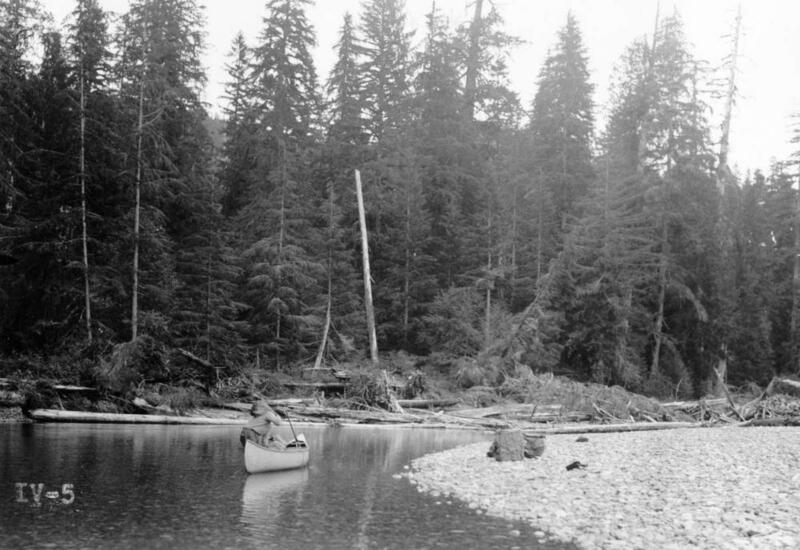 ItemI-68258 - Logging, Tsulton River operation, GR-0943. ItemI-68261 - Davie River Trail; GR-0943. Item I-68263 - Portaging around log jam, Klaanch River; GR-0943.